Would Raheem Sterling have signed for Liverpool if it wasn’t for the influence of Fernando Torres? Ex-Liverpool manager Rafael Benitez has revealed that Fernando Torres played a large part in the signing of promising young star Raeem Sterling. Sterling signed with Benitez and Liverpool back in 2010 for a fee believed to be in the region of £600,000. It wasn’t until two years later in 2012 that the Englishman broke into the first team under current manager Brendan Rogers. Costa Smashes Goals Record: Diego Costa has smashed a Premier League goals record, but which Chelsea stars did he beat? Gotze Premier League Switch: Arsenal and Manchester United on alert as Gotze hints at Bayern Munich exit. Fernando Torres left the club a year earlier to join Chelsea in a then Premier League record £50m deal, but Benitez believes that a chance meeting with the Spaniard helped convince Sterling to join the Merseyside club. 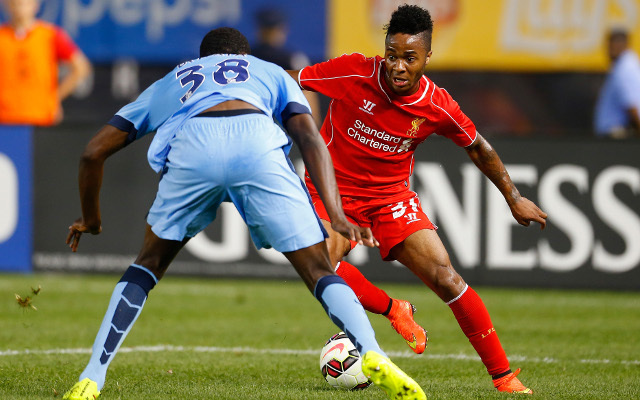 “We invited Raheem to Melwood and had a meeting with him and his mother. I walked around the complex with them and was showing them the ­facilities and we got as far as the ­physio’s room,” the Mirror quoted Benitez as saying. “I think they appreciated that we, all of us, had taken time to speak to them. Torres and Gerrard really were the big players in our team at that time. As the manager, it was a great for me to have them around,” he added. Sterling has been a revelation for Liverpool over the last two seasons, and since the departure of Luis Suarez he will be hoping to play an even bigger part. Rogers has been quick to state that he doesn’t want to rush the 19-year-old, and will shelter and protect him until he is sure he is ready. It is clear to everyone, including Benitez, that Sterling could become one of England and Liverpool’s greats, the Spaniard acknowledging that he will be a crucial player for both club and country in the very near future. “We soon saw what everyone is seeing now. He has this pace and ability and is very comfortable in possession,” the current Napoli manager said. “He was not scared of receiving the ball in any position. He is a big asset for any manager because he can play anywhere along the front for club and his country,” he concluded.